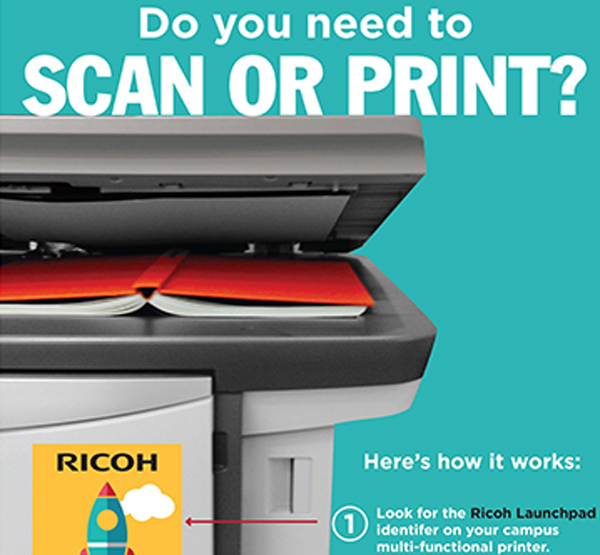 Get Ricoh and get going. 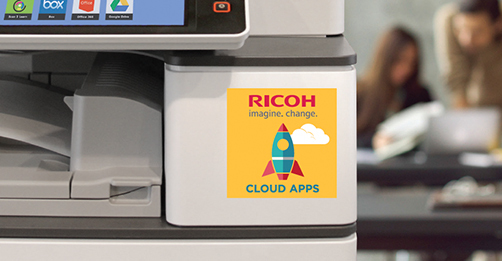 The Ricoh Company, Ltd. is a Japanese multinational imaging and electronics company, with annual sales exceeding 2.2 trillion dollars globally. 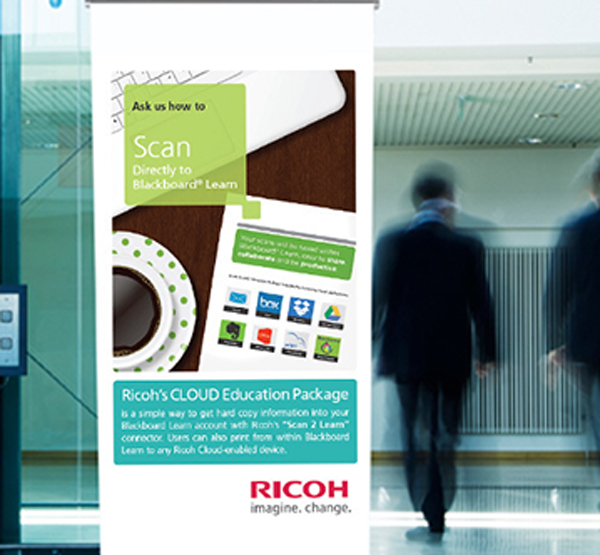 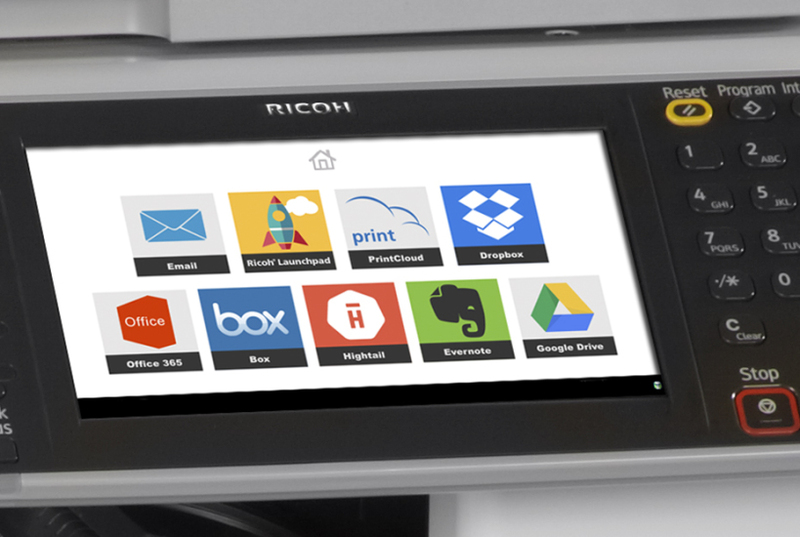 Ricoh with the assistance of UP developed an identity and roll-out program for the launch of their national educational product in the U.S.
Ricoh’s new technology enabled users at the equipment locations to scan to or print from various apps including Blackboard. 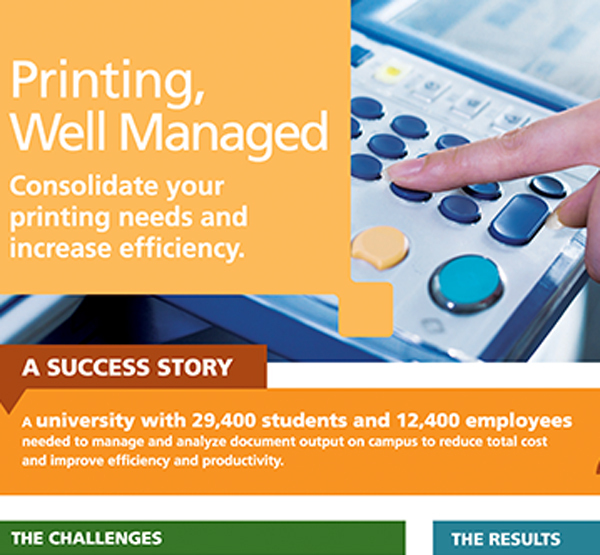 The materials developed by UP, identified the equipment as Launchpad enabled and provided instructions for use. 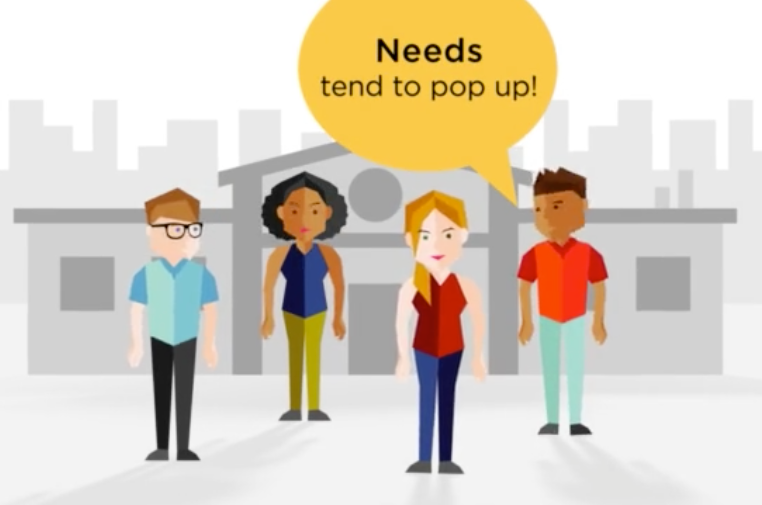 UP also produced animations to aid sales teams and support a social media effort.